An array of ~6 gliders travels along five east-west transect lines within the Coastal Endurance Array from approximately the 20-m isobaths to 126 W (and out to 128 W along the Oregon and Washington lines), as well as a north-south transect along 126 W.
Coastal Gliders (Teledyne-Webb Slocum Gliders) fly through the water column along saw-tooth paths, penetrating the sea surface and diving down to depth. These Coastal Gliders are outfitted with one of two buoyancy engines allowing for maximum efficiency for either shallow (able to dive to 200 m) or deep (able to dive to 1000 m) dives. 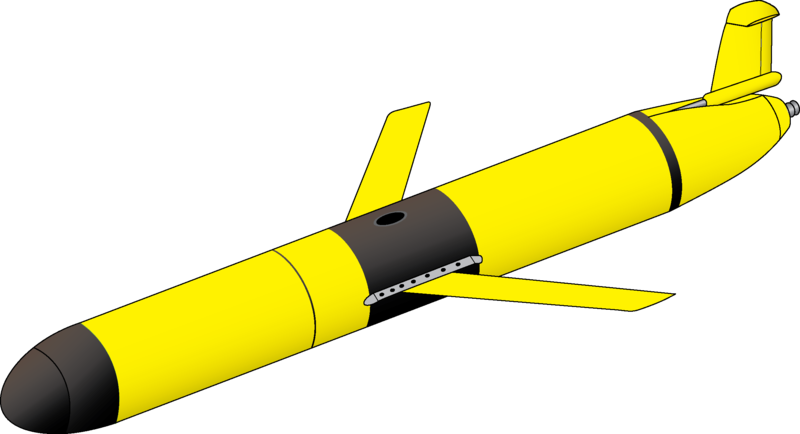 A roughly even combination of deep and shallow diving coastal gliders have been deployed, sufficient to survey the Endurance Array area. Gliders are buoyancy-driven mobile assets. They change their buoyancy by drawing in water through their nose making their front end heavy causing them to sink through the water. To float back up to the surface, they push the water out. Their wings provide lift allowing the gliders to move forward as they change depth. Due to their efficient design, with no need for propellers or an engine, gliders can be deployed for several months at a time.